Virginia Grace “Ginny” Beyer, age 61 of Shelbyville, TN passed away on Thursday, August 24, 2017 at Mt. Juliet HealthCare Center surrounded by her loving family. She was born on September 21, 1955 to the late Vincent and Lois Weber in Shelby, Michigan. She had a dream of becoming an entertainer and had it come true for many years. Mrs. Beyer worked the last few years as a cook for the famous Bell Buckle Café. In addition to her parents Mrs. Beyer was preceded in death by her sister Catherine Current. 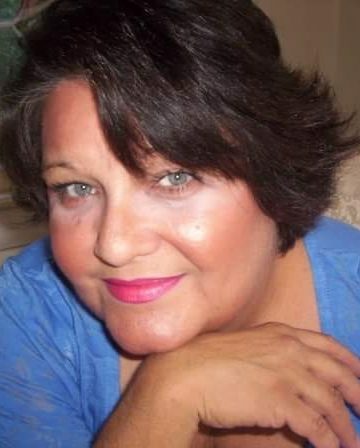 She is survived by her daughters, Stephanie (Jerry) Byrd, Melissa Beyer and Rebecca Beyer; grandchildren, Nicole (Stephen) Shannon and Blake Stephens; great granddaughter Adeline Shannon and nephews Michael Current and James (Erin) Current. Cole & Garrett Funeral Home and Cremation Services were entrusted with these arrangements: 127 N. Main Street Goodlettsville, Tennessee 37072 615-859-5231. Love you Ms. Ginny! You will be dearly missed. RIP Ginny.Remembering you and your family way back to the Elliott Street days in Shelby. thoughts are with your family. So sorry to hear. She sang at my wedding! She was a beautiful person with a beautiful voice. A dear friend of mine, she cared for her family more than anything in the world. She will be sadly missed. Rest in peace Virginia. We on the Weber side remember you dearly Ginny. You were a delight to your parents and loved by your sister. We will miss you as the number of first cousins are dwindling. God bless you. Please tell my parents, as well as yours, I send my love. May God be with Stephanie, Becky & Missy. Sorry to hear of Ginny’s passing. I have many fond memories growing up next door to the Webers on Elliott Street, sledding, ball games etc. I’m sure she will be missed.